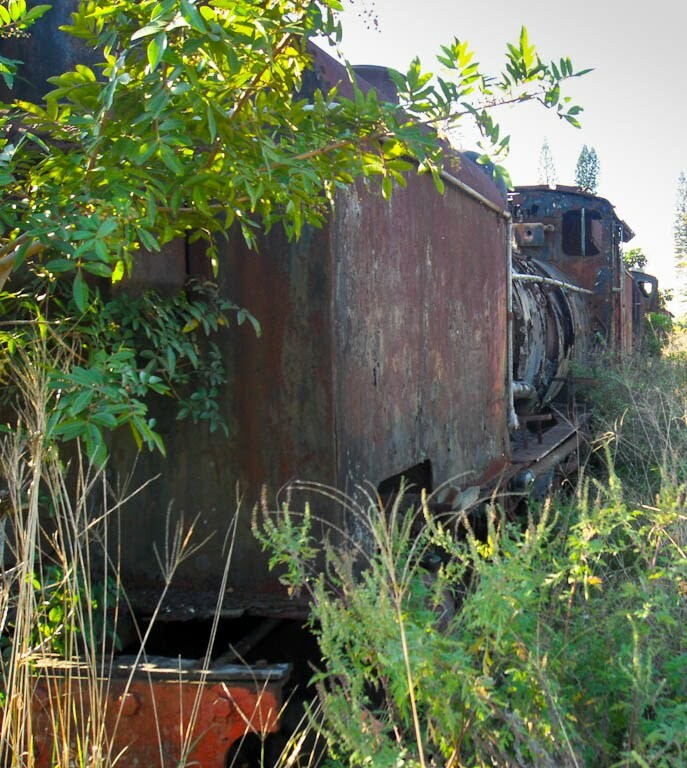 Alfred County Railway (ACR) is an abandoned narrow gauge railway in South Africa, which ran from the southern transport hub of Port Shepstone on the Indian Ocean, via Izotsha and Paddock for 122 kilometres (76 mi) to Harding, KwaZulu-Natal. You may want to look up the often very confusing! history of the ACR here on Wikipedia. ACR was finally shut down in 2008 because extensive flood damage to many of the railways bridges along the Hibiscus Coast put these beyond economic repair, and most of the Izotsha rail bridge was washed away. 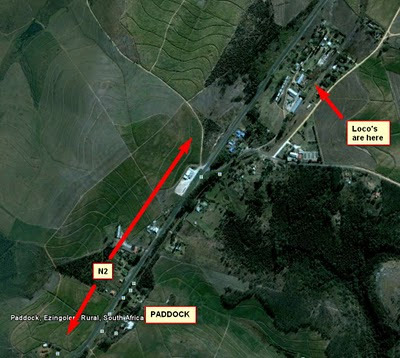 Thanks to Norman Swart for the following set of pictures taken at Paddock on 5th June 2010. 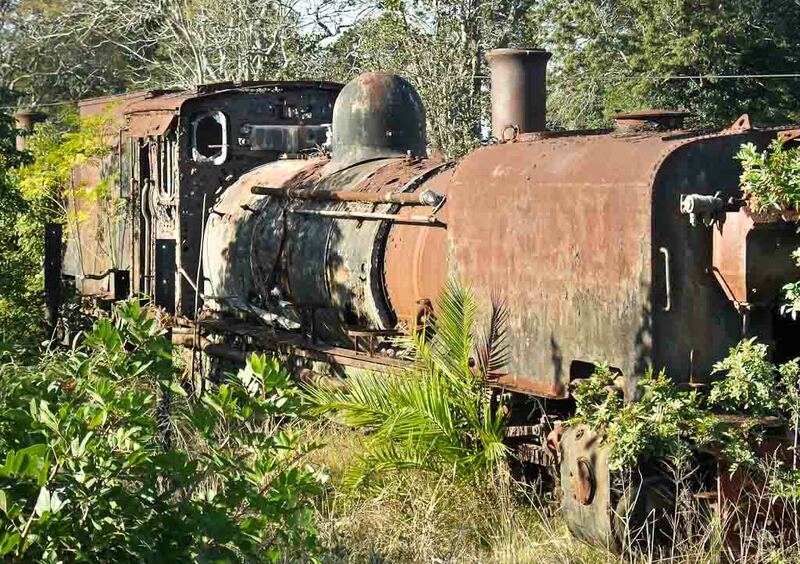 At the small town of Paddock some distance inland from Port Shepstone, a number of forgotten ex-SAR NGG16 Garratts may be found. 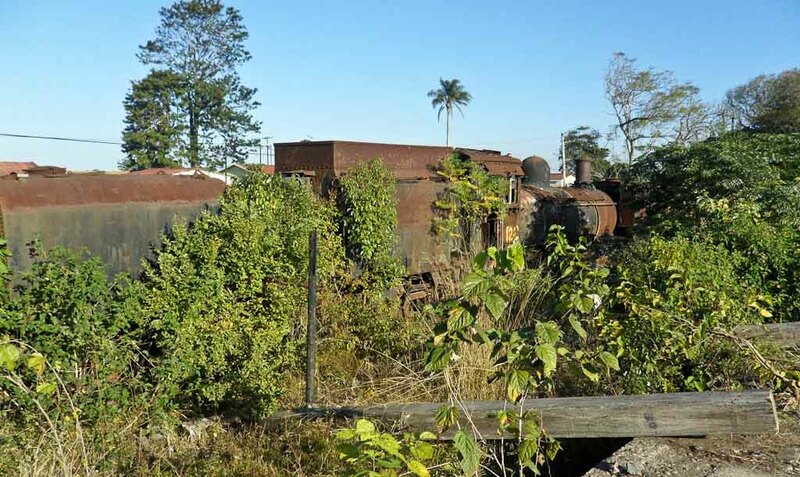 These rusty engines may be found to the north of and just outside Paddock at "Claasen's Siding" next to an old derelict saw mill. In this, and other pictures, a dome of a hidden locomotive with blue liivery is visible - a photo of the engine from the other side was not possible. 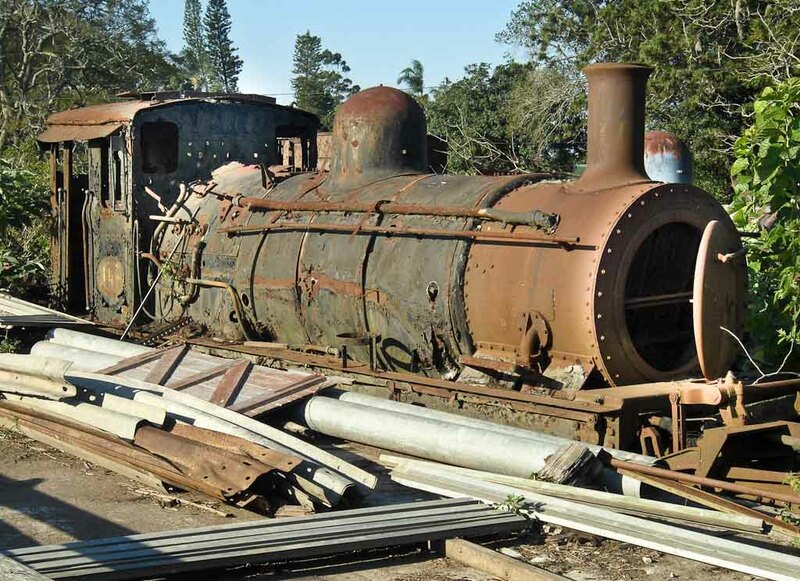 ACR apparently had about 17 NG loco's based at Port Shepstone, and some of these were stored at Paddock. The engines currently at Paddock may have been kept as spares for the few actual running engines. 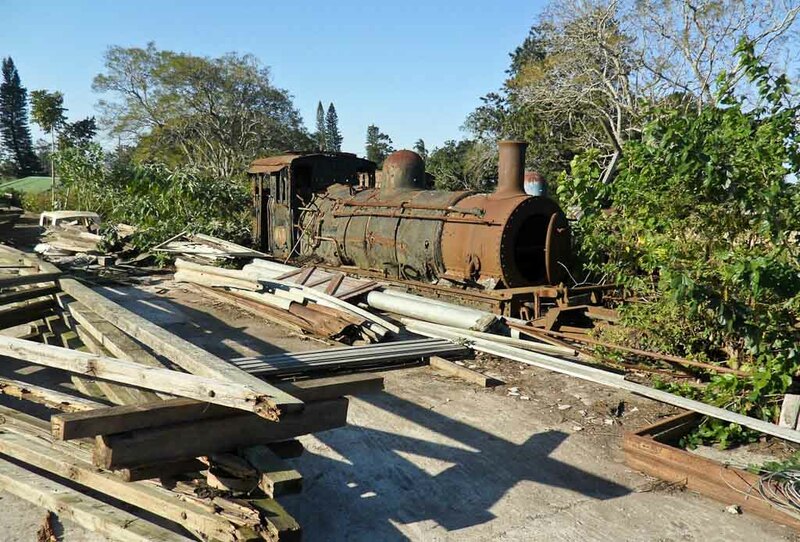 A few of the ACR engines were on loan from Transnet Heritage Foundation, (THF) the others were owned by ACR. This engine has the painted number "142", which then makes it a Garratt SAR class NGG16 Narrow Gauge (2ft width) SAR engine no NG142, which was built in 1958 by Beyer, Peacock & Co Ltd, of Manchester, England as their works no 7867. 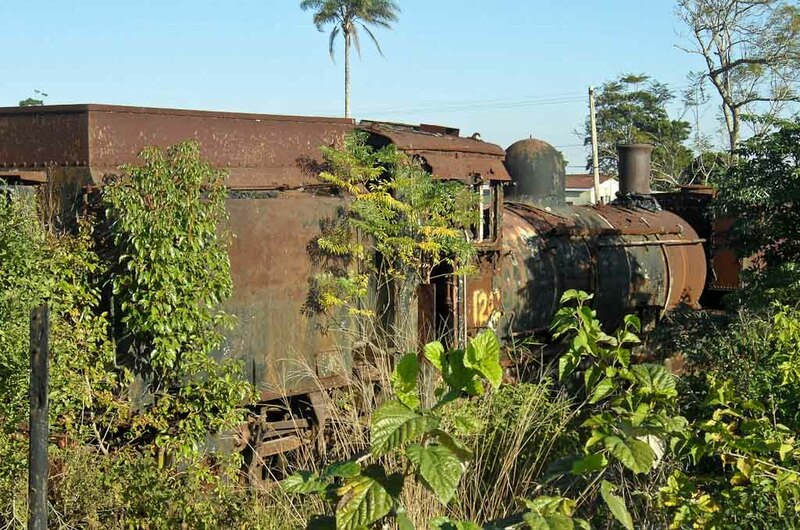 These Garratt locomotives are in a very bad state of deterioration and will need hard work to restore - the term "locomotive graveyard" seems fit at the moment. Norman Swart has discovered this sad scene on the 5th June 2010. 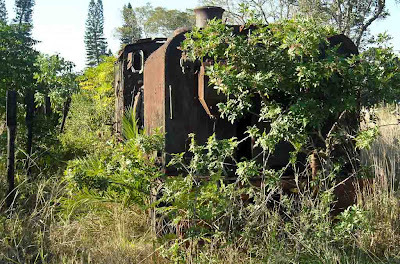 Norman said that because of the thick bush it was nearly impossible to photograph all of the locomotives. Norman thought that there are about 5 or 6 engines. These are all ex-SAR class NGG16's. Map 1 : Google Earth Aerial view of the Paddock area. 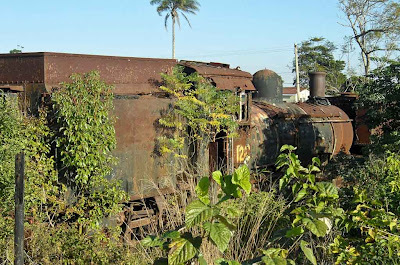 The Banana Express in better days - photo by hinchliff uploaded to Panoramio. Below are some YOUTUBE videos showing the Banana Express in action. COMMENTS: nickblewitt — March 16, 2008 — Part 1 of 2 A trip on the steam hauled 2 ft gauge Banana Express from Port Shepstone to Paddock in South Africa. Part of a trip by Ffestiniog Travel to South Africa in September 1999. 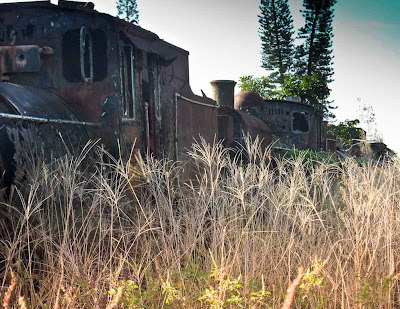 COMMENTS: nickblewitt — March 16, 2008 — Part 2 of 2 - We ride the full length of the Alfred County Railway attached to the rear of a freight train from Harding to Port Shepstone in South Africa. The previous day, we had done the southern part of ther line on the steam hauled Banana Express. Part of a trip by Ffestiniog Travel to South Africa in September 1999. COMMENTS: A fine video by Alex Bauman. The following two videos do not run "embedded" and you need to keep on clicking to watch them in a new window directly on YouTube. COMMENTS: Sowerbylads — January 04, 2009 — SAR class NG15 at work on the now closed Alfred County Railway in Natal, South Africa. Seen in December 1990 hauling the Banana Express tourist train, this short trip ran from Beach station at Port Shepstone to Izotsha station. There was two trips per day on Saturdays at this time. 146 is currently listed as stored on the Brecon Mountain Railway in Wales. COMMENTS: Sowerbylads — November 16, 2008 — The Alfred County Railway in Natal, South Africa that ran from Port Shepstone on the Natal Coast to Harding in Kwazulu. This now closed line was the source of motive power for the Welsh Highland Railway in the UK. NGG 16 class Garratts 155, 139 and 141 are seen at work on the Wednesdays passenger mixed from Port Shepstone Beach to Paddock and return. Coaches were added as required on the goods trains that ran to / from Harding. Filmed in August 1991 the week after the Brush with Steam railtour, with David Shepherd. I also met the late Dusty Durrant on that tour. Pic of derelict 141 in current Steam Railway. 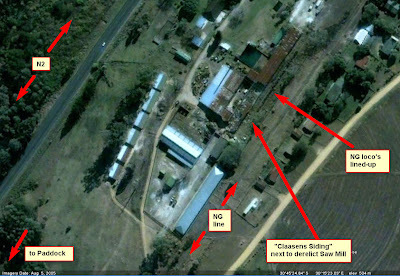 Claasen’s Siding, Paddock: NGG16's no's 114, 125, 126 (these three are owned by THF), 142, 149 (these two owned by Peter Newton). 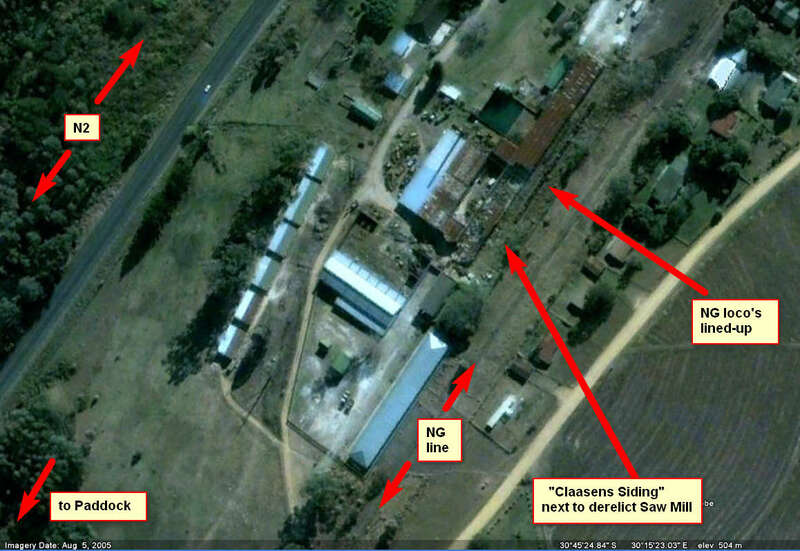 Claasens Siding is on the north side of the line just east of Paddock, it served a sawmill (now closed) and is owned by a local farmer Derek Claasen who maintains security around the locos. I spent a year and 2 university Xmas holidays working as a fireman on steam engines based out of Bayhead and Greyville locos. About 18 mths all up. 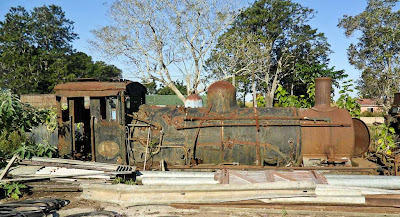 Often did trips to Port Shepstone and although I did not work on narrow gauge engines I had the opportunity to climb over them. Different firing technique. One handed shovel and you had to close and open the firebox door with the other hand to prevent heat loss. I did most work on 14Rs, S2s, H2s (coffee pots at Bluff), GO's and GMAM's with the odd 15 class on washout. 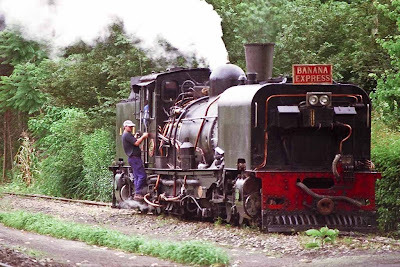 However I landed up living in Port Shepstone and made many passenger trips on the Banana Express in the 80's. My kids loved the trains. So sad to see it all gone. Lucky still have photos. The name of the gentleman involved at Paddock in the refurbishment of the Garratts and the carriages and the running of the current service should read Derrick Classen and the current train is the Humba Weheli Express. My apologies for my errors and best wishes for the future of trains at Paddock. I visited Paddock on 14th and 15th April 2015 and met Roelfe van Wyngaardt who lives near the locomotives and is involved in activities to restore two. Currently a tourist service is operating between Paddock and Plains (my guess about 7 kms) worked by a small Hunslett diesel and a locally built bogie open carriage. There is clearing work being undertaken at the eastern end of the siding at Plains. Paddock station seemed intact and in a fair condition. There are a number of carriages, in poor condition, also stored at the sawmill. A couple of apologies and corrections I need to make. 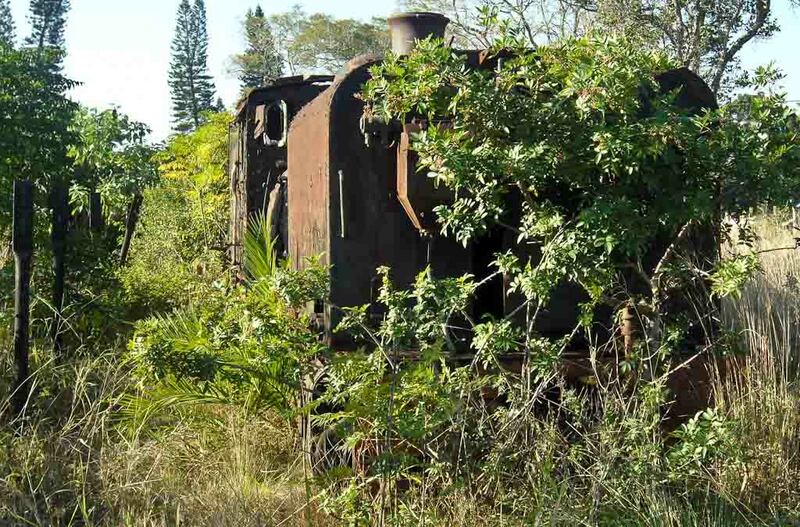 The name of the small train currently operating between Paddock and Plains should read "Humba Weheli. The name of the gentleman involved at Paddock with the train and the refurbishment of the Garratts and the steam hauled carriages should read Derrick Classen. Since my earlier postings I have learned that things have altered at Paddock. 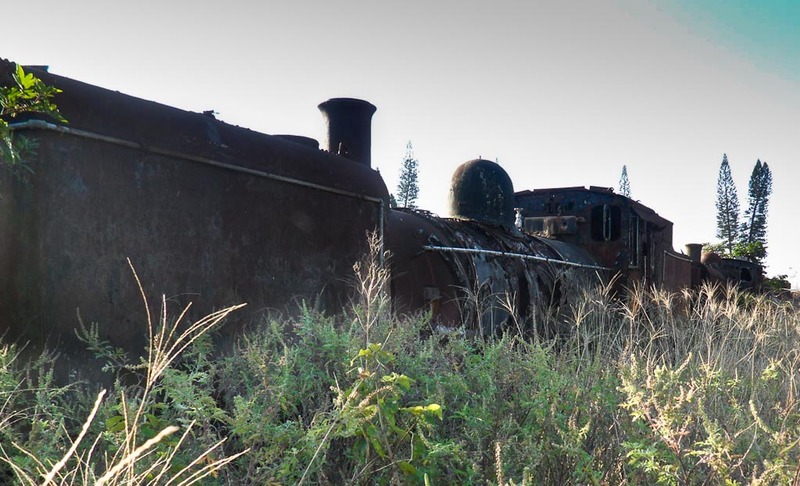 The Hamba Weheli Express has ceased operating and locomotives stored at the saw mill site have been disposed of. 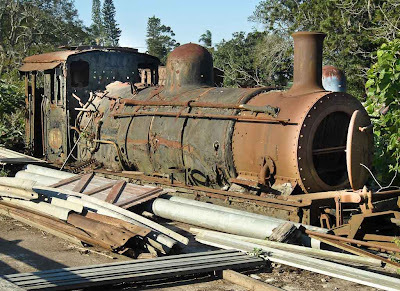 I do not have much detail but comments have been posted on FaceBook sites Sandstone Heritage Trust/Sandstone Estates - Pty Ltd and Surviving Garratt Locomotives.